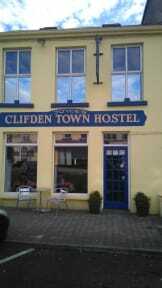 Clifden Town Hostel, Clifden, Irlandia : Rezerwuj teraz! 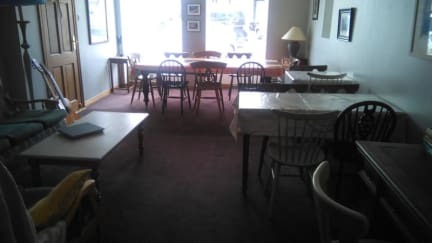 Clifden Town has many cafes, restaurants and bars serving traditional and contemporary dishes with seafood being a speciality. The town centre has many lifestyle, fashion and giftware shops and has three large supermarkets. Traditional music can be heard at the bars most evenings. Clifden is the ideal base to explore Connemara. There are numerous walks by the sea, through the bogs and hills, the Sky Road, the Bog Road and many more starting at the town or bikes can be hired for longer journeys to Omey Island, The National Park, Round stone and Dogs Bay.The bus departs from the bus stop 50 meters from the hostel every day at 10.30 to visit the National Park, Kylemore Abbey, Diamond Mountain or Inishboffin Island and returns to the bus stop at 18.30. For the more adventurous Trekking in the Twelve Pins Mountains, Deep Sea Angling, Sea Sports, Golfing are all easily accessible within 15 kilometres. If arriving by car there are many coastal tours and mountain drives.